If I were the father of a child with Down syndrome, I would hope my child could see someone relatable on TV and film. I would want my child to anxiously wait for the 7 o’clock show to watch their hero, who looks just like them, on screen. But right now, what does a parent say to their child who has Down syndrome when his kid asks, “How come no one looks like me on TV?” Ryan Murphy is doing good by us, by the way. If I was the mother of a boy who doesn’t subscribe to masculinity, what show can I sit to watch with my son so that he feels empowered? 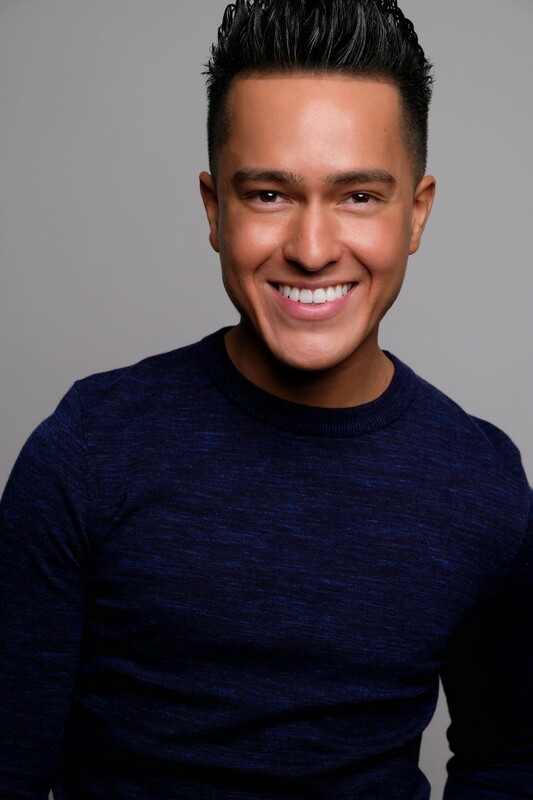 As a part of my series about TV’s rising stars, I had the distinct pleasure of interviewing Jeff Lima,29-year-old New York City-based actor best known for his recurring role as Leon Cruz on NBC’s Chicago Fire. Jeff has guest starred on CBS’s Blue Bloods, Netflix’s The Get Down, and NBC’s Taxi Brooklyn. He eventually landed a series arc on the HBO mini-series Show Me A Hero and currently recurs on NBC’s Chicago Fire. Jeff hopes he can be as influential as many of the educators he’s come across. He is a founding member of the Achievement Lab after school program and summer camp in Bronx, NY, which serves 150 at-risk children annually. Currently, he is shopping to finance short films penned by serious filmmakers. His goal is to identify films with themes that are prevalent to today’s society, and see them to fruition. I was born in New York City. I’m the second oldest of five children. My mom always reminds me that I used to stay awake for the entire Oscars telecast, even as a four-year-old. Going into junior high school, I knew I wanted to pursue acting professionally, so I asked to go be in a performing arts program. My family wasn’t too excited about the idea. I feel they would’ve been happier if I’d chosen a career in medicine. It was in junior high school where I caught the acting bug. Can you share a story with us about what brought you to this specific career path? In junior high school, my theater teacher allowed writers/directors Anna Boden and Ryan Fleck, to invite my acting class to audition for a short film they were working on at the time, titled Gowanus Brooklyn. The short film was later developed into the feature length film, Half Nelson, where I was cast with a principal role alongside Ryan Gosling, who was nominated for Best Performance by an Actor in a Leading Role for the part. The films’ success gave me hope that I could probably be a successful actor. At the very least, I was going to give this career path a fighting chance. I figured if I could achievement this pedigree of greatness at the age of 13, then the foreseeable future might look pretty good! There’s a notion that one day the aspiring actor wakes up in a lavish hotel, has exclusive car service, and flies first class. In 2012, that’s exactly what happened. I bartended the Saturday shift, received notice that I’d been cast, and was in flight to Chicago to film Chicago Fire on Monday. I was pouring drinks two days before checking into the Ritz Carlton to do the job I set out to do! Though this sounds great, I had a lot of awkward moments. It was my first-time flying business class and I felt so out of place boarding the plane before everyone else. When I checked in at the Ritz Carlton, I had to leave a card on file for incidentals, and I was staying at the hotel for about two weeks. Naturally, my card declined and I was mortified at the thought of looking at who might have been behind me in line, watching this play out. I left word that I wouldn’t break anything in the room and that was that. Chicago Fire has the best accommodations. I love traveling to Chicago to film. Before I was on set to film Half Nelson, my theater teacher demanded that I network while I was on-set. Keep in mind, I was 12 or 13 at the time. And so, I met lots of people on set, both actors and production folk. I was making sure to get everyone’s phone numbers to stay in touch. Being 13 or 12, I didn’t do my homework as far as researching who was in the cast. I was only concerned with the script. In making sure I was networking, I approached the lead actor and exchanged two sentences at most, and suggested, “Hey, let’s exchange numbers,” to which Ryan Gosling replied, “I’ll give you my managers number.” In my defense, I didn’t know then that Ryan Gosling would become the Justin Timberlake of film. I just finished filming Chicago Fire. I can’t believe it’s in its seventh season. It feels like just yesterday we were shooting the first season. It was especially interesting to be back on the show and showcase a side of my character Leon Cruz that we’ve never seen before. Also, I’ve partnered with New York University’s Tisch School of the Arts to create a $10,000 scholarship, The Jeff Lima Production Award, which will go to a recipient whose short film advances the Latino presence, on screen. If I were the father of a child with Down syndrome, I would hope my child could see someone relatable on TV and film. I would want my child to anxiously wait for the 7 o’clock show to watch their hero, who looks just like them, on screen. But right now, what does a parent say to their child who has Down syndrome when his kid asks, “How come no one looks like me on TV?” Ryan Murphy is doing good by us, by the way. If I was the mother of a boy who doesn’t subscribe to masculinity, what show can I sit to watch with my son so that he feels empowered? The conventional way to approach this question would’ve been to discuss Black, Latino, and Asian representation in TV and film, but diversity is so far reaching. This is not to say that there is currently adequate Black, Latino, and Asian representation in TV and film. If we’re riding the Progressive wave, we need to be cognizant of the lack of diversity our children are seeing on screen. TV and film are about bringing in viewership to make any given project lucrative. Diversity appeals to a wider market. Certain approaches are transferable across industries. I look up to Alex Rodriguez and Warren Buffet because they diversify their investments and they aren’t doing so bad! Similarly, studios and networks can adopt an approach whereby investments are made toward projects with diverse actors, writers and directors. Finally, minority stories are just as compelling and important as stories that we currently see in TV and film. To that end, it’s just as sound to finance a minority project as it is to finance any other project. After we’ve thoroughly understood the implications that entertainment has on children, and when we’ve made strides in securing financing for projects with diverse talent, I think we’ll start to hear the term “diverse” less because it’ll become commonplace. Too many people complain and too few people actually make proactive efforts to change the things they take issue with. Studios and networks would be open to green lighting projects if minorities patronized the projects. Plenty of Latinos cry to diversity in film. Miss Bala recently hit theaters, and I’m curious to know how many minorities went to see it. Put your money where your mouth is. If there is a film that you cannot get financing for, take other measures to secure finances to get the film produced. It’s okay to use your own money. Being an advocate for diversity is a proactive endeavor. Also, it’s important to be prepared. In America, how many minority actors can say that they’d be prepared to play Othello for a major studio? A handful can. But we can do better. I include myself in this. At the end of the day, as a minority, I have to do everything I can to ensure that I have competitive advantage over the next actor, who may be an easier studio choice because they “look” the part. 1. Arts education is exponential! Unlike going to school for engineering, wherein the curriculum is finite, arts education builds on itself and you should never allow yourself to stop learning. Continue to train. I haven’t had a voice lesson in a long time, and I recently took myself out of a race for a role because my instrument (voice) hadn’t been trained in so long, and sadly it sounded like it. 2. It’s an investment! Headshots, other photos, coaches, videographers, etc. can end up being expensive. Always make these expenses a priority and make them a line item in your monthly budget. I auditioned for a project a while ago and spent close to $500 in preparation for it. I didn’t get the job, but I planned for the loss. 3. It’s more about business than it is about the art. 4. Keep yourself artistically fulfilled. There are seasons that are calm. It’s important to do something artistic during these times. When things were calm for me, I partnered with NYU Tisch to become a part of their network. 5. It’s only worth it if you commit 100%. Be in love with your art. Love is balanced. When we get ourselves into relationships, it’s fair to assume that we love that particular person. Love is beautiful. All great relationships do, however have parameters that keep the love healthy. For instance, I may agree to two date nights a week with my girlfriend. If I’m suddenly committing myself to four date nights, I could start to become bitter with my relationship. Similarly, industry professionals must establish parameters before committing to their careers. My passion for acting does not translate to allowing myself to be overworked. When someone finds himself or herself burnt out, they’ve failed to define parameters and have allowed the scope and pace of work to gain dominance over the craft. This might be selfish because it’s very first-world, but I’d love to see a “Cellphone-Free Sunday” gain traction. Everyone wants to save the world, but we are losing our connections with the people sitting across the table from us. I attended a performing arts junior high school and I elected to take theater. The theater teacher stopped me right at the classroom door and asked that I visit the guidance counselor to have my class schedule changed. I gave her my word that I’d merit my admittance to her class. I ended up excelling in her class. She coached me to get into a competitive performing arts high school. She also paid for my first headshot and taught me how to doctor an artistic resume. More than 10 years later, she and I speak daily, and she is one of my biggest supporters. This career path is riddled with a lot of no. It’s super discouraging at times. In my darkest moments, I find myself comparing other peoples’ best with my worst. But at the end of the day, my heart’s desire is to act. There is a scene in Sister Act 2 where Sister Mary Clarence tells a student, “If you wake up in the morning and you can’t think of anything but singing first…then you’re supposed to be a singer.” This is a quote I’ve found refuge in. At times, this industry is so competitive, but no one can take away my heart’s desire. I could be mistaken, but I think there’s some talk about a female take on the film Fatal Attraction. I would love to have brunch with Glenn Close. I admire her films and I’m angry with myself for not seeing her on Broadway in Sunset Boulevard. She’s had success in both film and theater, and I loved her in Damages. My Instagram handle is @thejefflima.